Home » Blogs » cividesk's blog » How do I send an email to two different email addresses for the same contact record? How do I send an email to two different email addresses for the same contact record? Step 1: Select the Activity "Send an Email" from the Activities Tab in the contact record. 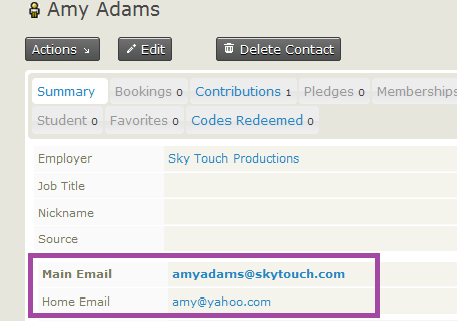 Step 2: Select "Add CC" and starting typing the contact's name in that field. The second email address will appear as one of the options in the list. Select that to add the second email address.